Last year, Amy Burkert and her husband, Rod, set out on a yearlong road trip to see the U.S. in their recreational vehicle. But what set this bucket list adventure apart from most vacations was the inclusion of the couple’s two dogs, an 11-year-old German shepherd named Buster and a 14-year-old shar-pei named Ty. The foursome began their 15,000-mile expedition, chronicled in Burkert's recently released book, "The Ultimate Pet Friendly Road Trip," in Carmel-by-the-Sea, California, where the couple held the first of many adoption drives with the Society for the Prevention of Cruelty to Animals of Monterey Bay. Indeed, raising awareness for the adoption of rescued animals during the trip was a major priority for Burkert, who went on to host 17 adoption drives throughout 2017. The route, which ran a full circle touching each coast of the country, took a full 10 months to complete between February and November. 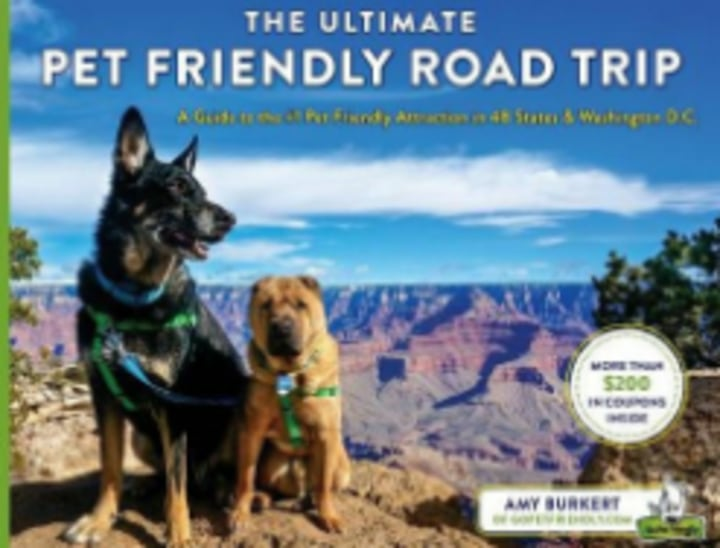 The Ultimate Pet Friendly Road Trip: A Guide to the #1 Pet Friendly Attraction in 48 States & Washington D.C. This is also available on Amazon for $30. But the Burkerts hadn’t always enjoyed such a freewheeling lifestyle. The couple worked traditional jobs before running the blog GoPetFriendly.com full time. An accountant employed at a multinational auditing firm, Amy Burkert, 44, left the security of her 9-to-5 job in 2009 to focus on her passion for animals. Her husband, the founder of an independent consulting services business, has the flexibility to operate from pretty much anywhere. What really kicked off the adventure of a lifetime was an honest conversation about their priorities in life. “How can you tell people where to take their dogs when you’re sitting in an office in Philadelphia?” Rod Burkert, 62, asked his wife one day. “I had never thought about it, but he was right,” Amy Burkert told TODAY. “That’s when we started shopping for an RV” — using the funds from the sale of their home. Both the blog and the consulting business have provided enough income for the couple to live and work fully from the RV for nearly a decade. Today, Amy Burkert is focused on helping people get over any anxiety about traveling with their pets. 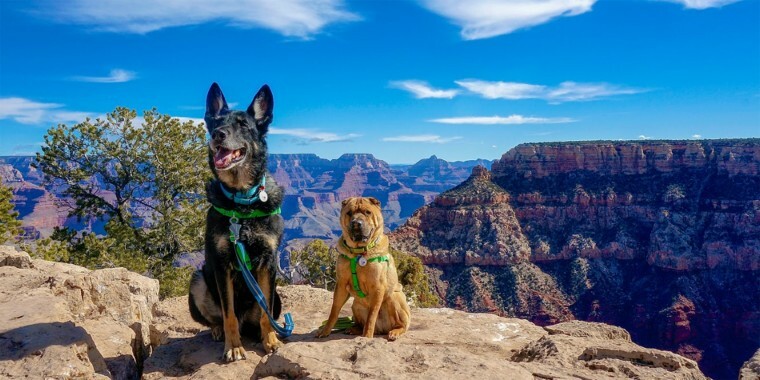 With real-world experience under their belts, the Burkerts shared their top six destinations in the U.S. for pet travel. Located in the northern region of the Chihuahuan Desert, which covers parts of Mexico and the southwestern U.S., is 225 square miles of phosphorescent, rolling hills. Made of gypsum salt, White Sands National Monument doesn't get too hot, so your dog can keep comfortable in a stunning, photogenic landscape. Just be on the lookout for changing weather conditions. "I don't take my dogs to sandy areas when it's windy because the debris can get into their eyes and make the experience less enjoyable," said Amy Burkert. This picturesque town, where Clint Eastwood once served as mayor back in the '80s, was a highlight of the Burkerts' trip. Here, the couple chose to avoid the crowded dog park, preferring to keep their pups on leash at a scenic vista overlooking the Pacific Ocean. "For dogs like mine, who prefer not to interact with dogs they don't know, we try to avoid the crowded dog parks and look for a more private space to enjoy time with Ty and Buster," said Burkert. "This strategy can be a big help in keeping your dog calm in what would otherwise be a socially challenging situation." Known as a hiking, mountain biking and climbing destination for its burgundy sandstone peaks, Red Rock Canyon in Nevada's Mohave Desert draws thousands of visitors each year. The Burkerts found the area's exceptional views even more breathtaking with the company of Ty and Buster, who remained safely on leash at a popular lookout. "Try to avoid the extreme temperature and sun of midday. Instead, go in the morning or evening, and be sure bring the appropriate accommodations for shade and water to avoid dehydration or heatstroke," said Burkert. A metropolitan city teeming with culture and history, San Antonio was one of the more urban stops on the family's trip. But whether the destination be in the middle of the desert or a bustling downtown, Burkert advocates for an adventurous attitude. "We bought a stroller so Ty could sit and keep up with us on our trip," said Burkert of the senior shar-pei. "With older dogs, you need to moderate how much activity they do in a day. Dogs, especially as they age, have limits to their energy, so don't feel pressured to overdo it." Flowing freely for 135 miles in northern Arkansas, the Buffalo National River is federally protected, meaning its waters will never be interrupted by a dam or any other industrially minded device. "It was the first time Ty and Buster had been on the water like that," said Burkert. "What could be better?" A historic seaport that traces its roots to colonial America, Mystic, Connecticut, offers art, architecture and a period-preserved harbor, much of which can be enjoyed from public walkways and free museums. "Make sure to walk with your dogs on leash to see all the historic sites a destination may have to offer," said Burkert. "An experience like visiting Mystic Seaport with Buster and Ty is something I will never forget." She added: “One of my mottos is, 'No time is enough time with your dog. But memories last forever.'"